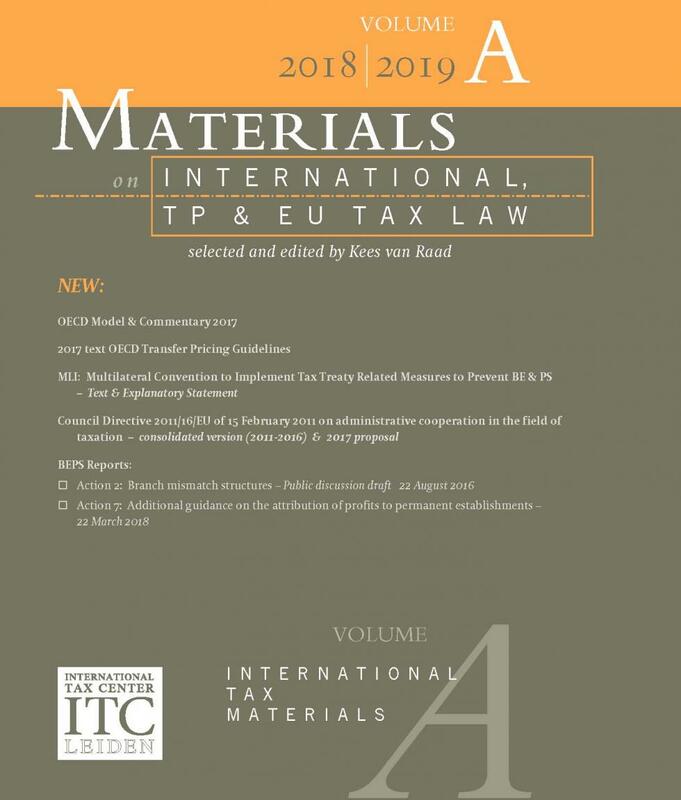 Volume A focuses on international tax law materials. On the basis of the 2017 version of the OECD Model Convention comparisons are included with the 1963 OECD Draft Convention, the 2011 UN Model and the 2016 US Model. The OECD Model itself, the introduction to this Model and the OECD Commentary are presented in a way in which the successive changes, additions and deletions that were made to the 1977 text in 1992, 1994, 1995, 1997, 2000, 2003, 2005, 2008, 2010, 2014 and 2017 can be readily identified. The first volume also includes the current UN Commentary. 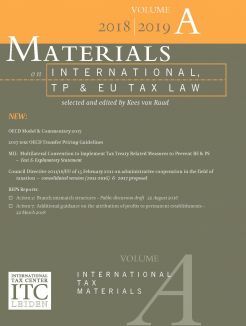 In addition to these Model and Commentary texts, various OECD discussion drafts with proposed changes to the OECD Model and/or Commentary have been included, along with a series of OECD reports: the 1999 Partnership Report, the 2010 Report on the attribution of profits to PEs and the 2017 version of the Transfer Pricing Guidelines. This year two BEPS Discussion Drafts have been included (Action 2: Branch mismatch structures [August 2016] and Action 7: Additional guidance on the attribution of profits to permanent establishments [March 2018]). This 17th edition includes brief surveys of the tax systems of 30 countries. To view the complete Table of Contents, click on Volume A. As of 2018, Volume C has been divided into two parts. Volume C.1 contains EU texts. In addition to the full text of the Treaty on the Functioning of the European Union itself, the updated texts of the various Directives are included – many of them in English, French and German. Also some 65 decisions of the EU Court of Justice issued in the period July 2016 – April 2018 are reproduced along with the Opinions of the Advocate General (in cases where no ECJ decision is available yet), all dealing with income tax issues or directly related thereto. All ECJ decisions that were included in the previous edition of Volume C (January 1986 – July 2014) have been transferred to Volume C.2.